Academy award-winning actor Leonardo DiCaprio has been a leading public advocate and supporter of taking action to address the myriad and profound impacts and effects of rapid global climate warming. 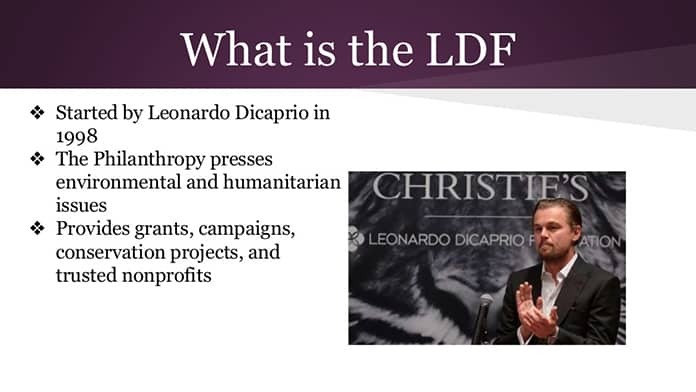 Working through the Leonardo DiCaprio Foundation (LDF), the actor-activist is helping a wide variety of organizations worldwide working at grass-roots and higher levels to conserve increasingly rare and threatened natural ecosystems and resources, protect and ensure indigenous and basic human rights, and advance the transition from centralized fossil fuel to distributed, local renewable energy and energy efficiency-driven economies and societies. The DiCaprio Foundation on Sept. 19 announced it awarded $20 million in grant funding to 100 organizations around the globe that in one way or another are contributing to climate change mitigation and adaptation efforts. Most are non-profit, non-governmental organizations. Many struggle greatly to obtain the financial support they merit from government, public and private sector sources. 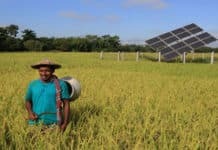 An innovative developer of “crowdfunded” small-scale solar photovoltaic (PV) energy projects for non-profits, San Francisco, California’s RE-volv numbers among the latest batch of LDF climate change action grant award winners. 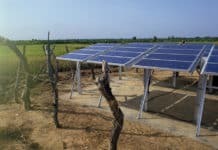 The Leonardo DiCaprio Foundation awarded RE-volv a US$120,000 partnership grant to expand access to its innovative solar PV project crowdfunding platform and revolving project fund, which is dedicated to installing solar power generation capacity for non-profit organizations across the US. Via the partnership, the foundation will match fund donor contributions to RE-volv’s solar crowdfunding platform and Solar Seed Fund, thereby doubling the capital for the innovative, community-based non-profit solar energy development organization to carry out its mission. The DiCaprio Foundation grant is the largest awarded to RE-volv to date. Overall, RE-volv has raised more than US$300,000 from more than 1,000 supporters in 22 countries via its crowdfunding platform. That includes winning two grants from the US Dept. of Energy’s SunShot Initiative, according to a RE-volv press release. 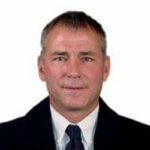 RE-volv was one of the first solar energy organizations to turn to and successfully build a crowdfunding investment platform to raise capital. 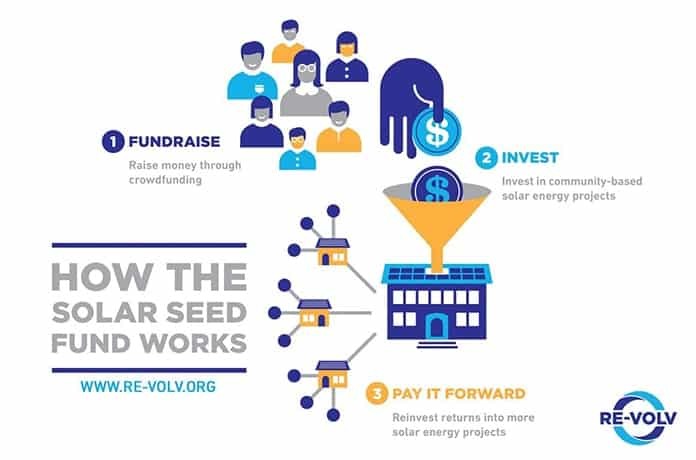 In addition to being the only solar energy development fund dedicated to funding solar energy projects for non-profits, RE-volv’s Solar Seed Fund is unique in that it is a revolving fund. This pay-it-forward model helps to accelerate solar energy deployment in local communities while keeping donors engaged in solar projects. RE-volv’s Solar Seed Fund has grown to US$650,000 in value. It has crowdfunded 10 solar PV energy projects (total 150-kW) for community non-profits in four US states. These include Harbour House, which helps support refugee, immigrant and low-income families in RE-volv’s hometown by running after-school programs and ESL (English as a Second Language) programs. Morris Chapel Baptist Church in Philadelphia, the oldest African-American church in the nation, is another. RE-volv projects that the 10 solar energy crowdfund projects it has completed to date will save recipient non-profit organizations between 15-40 percent on the monthly electric bills. 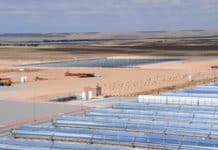 That’s money not spent – an estimated total of US$1.5 million over the useful lives of the 10 solar PV systems – that they can devote to enhancing and/or expanding the public community services they provide, RE-volv highlights. Future lease payments from these projects will be plowed back into and reinvested in the Solar Seed Fund. It’s projected RE-volv will be able to finance at least 20 more solar energy projects for non-profits as a result. In addition to financing solar PV installations for non-profits, RE-volv runs the Solar Ambassadors and Solar Champion programs. Via the former, RE-volv trains college students and community volunteers to reach out across the communities in which they are living and obtaining their college degrees to educate and promote use of solar energy. RE-volv’s latest contingent of Solar Ambassadors consists of a group of 44 students from seven US universities: American University, Coastal Carolina University, University of Dayton, University of New England, Swarthmore College, University of Wisconsin-Madison, and University of Wisconsin-Milwaukee. “The students are now in discussions with nonprofits in their communities and we hope to have signed solar lease agreements soon,” Karelas said. Anyone interested in leading a solar-for-non-profit organization solar crowdfunding campaign in their community can sign up for RE-volv’s Solar Champions. RE-volv provides the resources, training materials and support during their campaigns, Karelas explained. At present, RE-volv is partnering with Community Power Network, Interfaith Power and Lights (another LDF grant award winner) and the Sierra Club to identify professional solar projects and prospective Solar Champions via their networks of supporters and stakeholders. “RE-volv is working to make sure that the benefits of solar can reach everyone, including nonprofit organizations and the people they serve,” Karelas was quoted in a press release. All told, RE-volv has helped educate some 10,000 Americans about solar energy and its socioeconomic and environmental benefits through training, outreach and organizing more than 100 events, according to the non-profit organization. Foundation founder and chairman Leonardo DiCaprio announced the latest round of Climate Program grant awards during a speech he delivered to a climate change conference at Yale University hosted by former Secretary of State John Kerry’s Kerry Initiative.